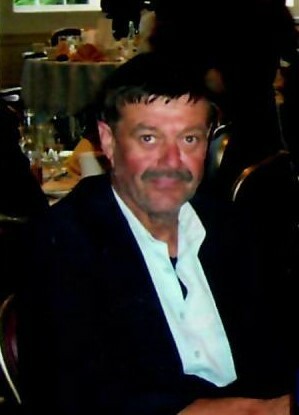 Obituary for Richard "Rick" K. Stone, Jr. | Kostanski Funeral Home, Inc.
Richard "Rick" K. Stone, Jr., 64, of Federal Street passed away Saturday 2/9/19 after a period of declining health. He was born in Montague City on July 4, 1954, the son of Richard K. and Mildred (Hurtle) Stone. Rick attended Montague Center Elementary Schools and Smith Vocational School in Northampton. Rick worked for Stone's Equipment for many years, and then for C&S Wholesale for over twenty years as a trailer mechanic. Rick was known as the "Go to Guy" for any question about an automobile problem by everyone who knew him. He followed in his father's footsteps to become a mechanic. Among his survivors, Rick leaves a daughter, Kelly Jean Croteau and her husband Robert; two grandchildren Chase Alexander and Hailey Alexis Croteau, all of Moosup, CT; his mother, Mildred Stone of Montague; a sister, Marcia Norwood and her husband David of Montague; a brother, Gary Stone and his wife Lola of Whately; his wife, Debbie Stone; several nieces and nephews; and his dog, Jaime, whom he loved very much and was never seen without her. Rick was predeceased by his father, Richard K. Stone, Sr. and his younger brother, Daryl Stone. A funeral service will be held Thursday 2/14 at 12noon at the Kostanski Funeral Home, 1 Kostanski Square, Turners Falls. Burial will follow at South Cemetery in Orange. A calling hour will be held Thursday morning from 11am until the time of the service at the funeral home. Memorial contributions may be made to the Montague Center Fire Department, 28 Old Sunderland Road, Montague, MA 01351 or to the Dakin Humane Society, P.O. Box 6307, Springfield, MA 01101.